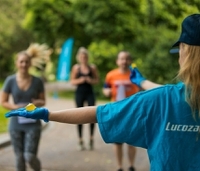 31 Aug 2018 --- Lucozade Sport has announced plans to trial plastic-free sports drinks and gels encased in an edible seaweed outer layer. 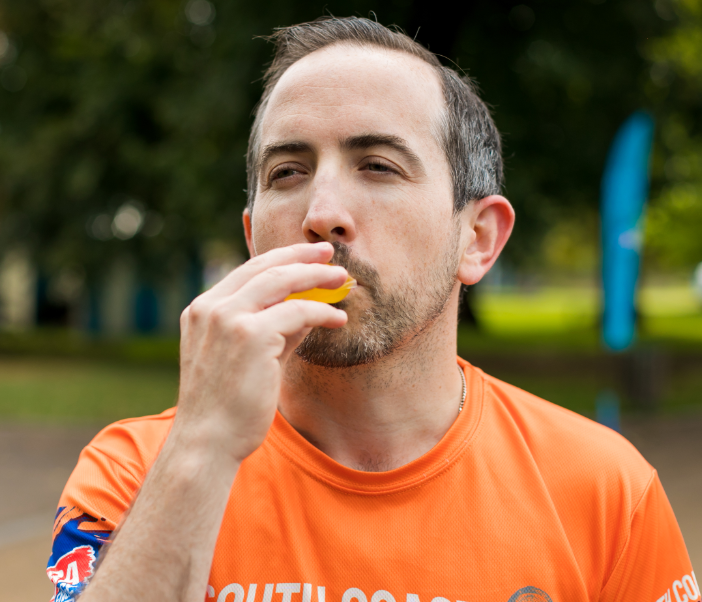 Brand owner Lucozade Ribena Suntory has teamed up with materials engineering startup Skipping Rocks Lab to trial their revolutionary Ooho product at selected running events beginning in September 2018. The trial will expand to wider UK based events in the new year, a Lucozade Ribena Suntory spokesperson tells PackagingInsights. The Oohos are made entirely from seaweed extract; edible and compostable, they naturally biodegrade in four to six weeks. Ooho can be treated exactly like any other natural food and can be eaten or disposed of in food waste bins, according to the startup. At the trials, hundreds of people will be able to try this attempt at plastic free hydration: “We think Ooho could be a great solution for participation sporting events that want to be more sustainable, use less plastic or even go plastic free,” says the spokesperson. Lucozade Sport is an isotonic, carbohydrate sports drink range that includes Lucozade Sport Body Fuel and Lucozade Sport Low Cal. The sports drink is usually sold in PET bottles or single-dose pouches. The Ooho partnership sits alongside a number of other innovative moves that see the company reinvent its relationship with single-use plastics. Most recently, Lucozade Ribena Suntory became a founding signatory of the UK Plastics Pact. As a signatory, the company has agreed to eliminate problematic or unnecessary single-use plastic packaging and ensure 100 percent of its plastic packaging is reusable, recyclable or compostable by 2025. Additionally, Lucozade Ribena Suntory is rolling out its Global Innovation Challenge, a call to all innovators and entrepreneurs around the world to find practical solutions to help the company move beyond plastic. “Lucozade Sport-filled Oohos are a completely new and exciting way to deliver the UK’s favorite sports drink to our consumers. They offer us a hugely exciting opportunity to reduce plastic use in the long-term, especially at mass-participation sporting events. As a company, we are always striving to do the right thing and this partnership is a positive step in becoming more sustainable,” says Lucy Grogut, Head of Marketing of Lucozade Sport at Lucozade Ribena Suntory. Sports nutrition is a vast market that has recently made a leap from niche to mainstream and it shows no signs of stagnating. Yet, sporting events, such as marathons, have been chastised for the huge amounts of plastic bottles and cups that they often spawn. A large-scale sports event such as the London Marathon can easily get through 750,000 bottles of water and result in up to seven tons of waste, according to The Independent. However, plastic-free sporting events are proving that sport can be enjoyed, sustainably, on a large-scale. Such events hoping to set an example include the Croyde Ocean Triathlon and, of course, Lucozades plastic-free sports hydration trial. You can read more about packaging for the sports nutrition market here, and take a detailed look into biodegradable packaging innovations, which include edible options, here. 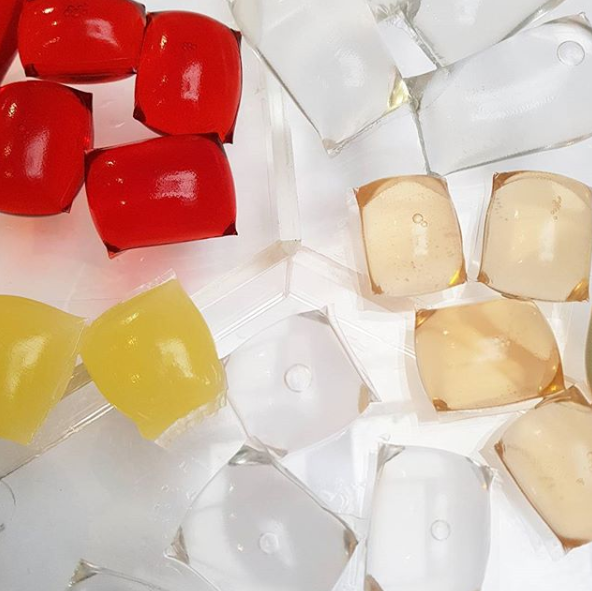 In an attempt to lower the use of single-use plastics in the takeaway packaging space, online delivery service Just Eat has also utilized the edible seaweed technology from Skipping Rocks Lab. The company announced a UK six-week trial of seaweed-based sauce sachets for ketchup and garlic herb sauces in July.